The St. Anthony Sand Dunes at an elevation of 5,000 ft consists of more than 11,000 acres of clear, shifting, white quartz sand dunes up to 400 feet high that move about eight feet each year and is know for its unique beauty and exceptional recreation opportunities. 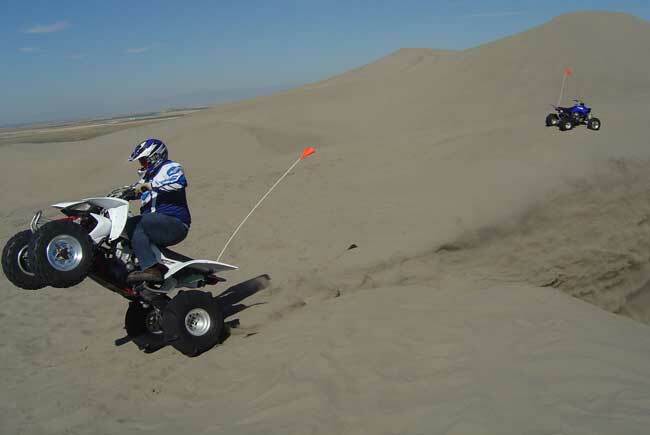 They support a high amount of off-road vehicle use, attracting riders from all over the West. Campsites are available on the East end of the dunes along the Red Road, and a campground is located at Egin Lake. 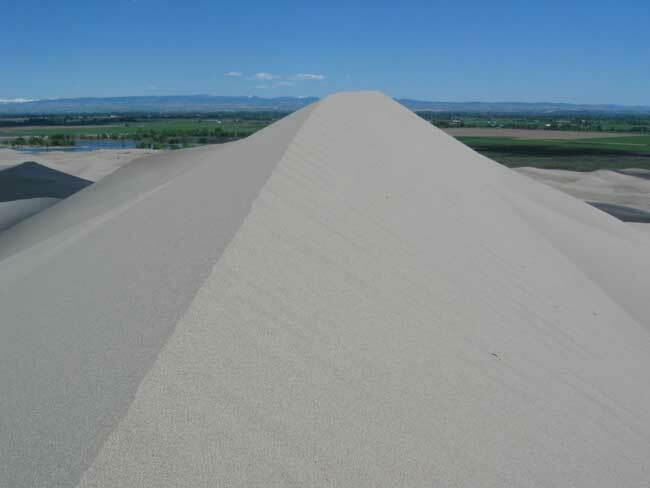 The Dunes were created by prevailing winds carring the sand from the nearby Teton and Snake Rivers and deposited them as dunes among the hills. These hills were once active volcanic vents pouring great depths of lava over the earth. Today the St. Anthony sand Dunes are home to a Wilderness Study Area and one of the largest herds of wintering elk in the United States.